A one of a kind. Beautiful Boom-Blue Body. 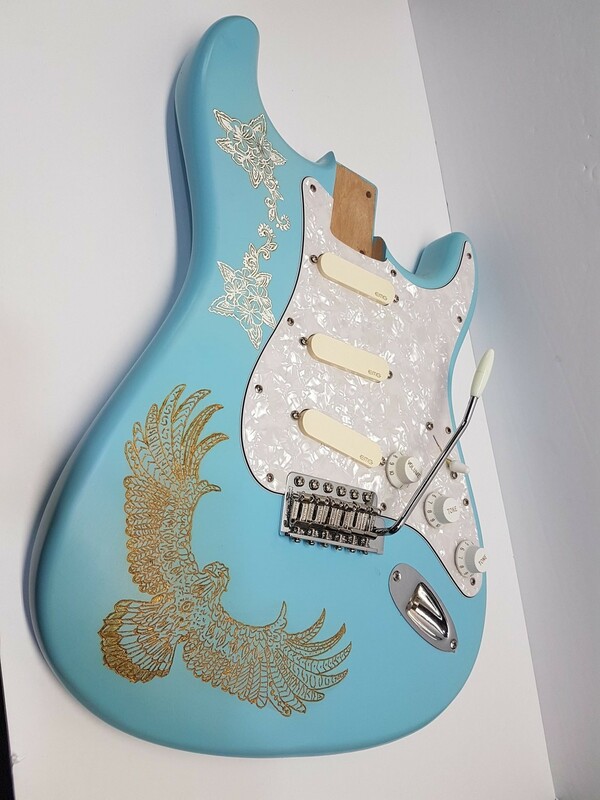 Boom-Blue Strat Style ALDER body. Loaded with a David Gilmour White Pearloid EMG Kit. Hand engraved Eagle and Roses filled with a special lacquer gold paint for the Eagle and White for the Floral. Wilkinson 6 hole Chrome Vintage Saddle Bridge.